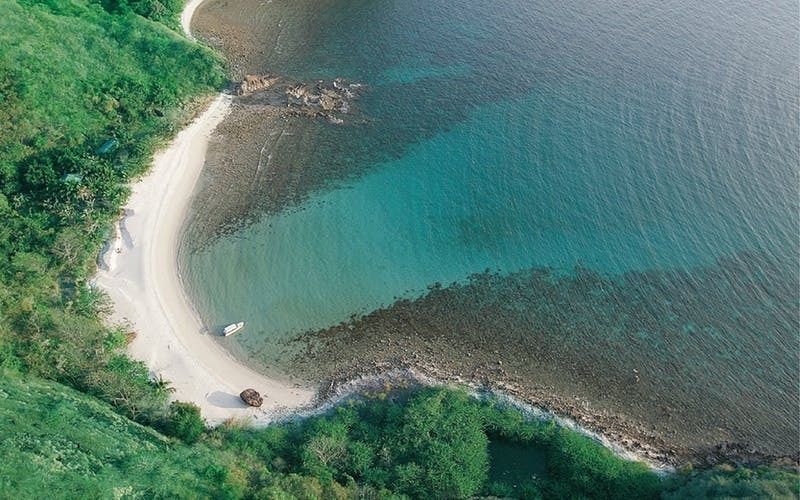 ​The charm of Hamilo Coast, especially to first-time visitors, is its expansive natural wonder, which includes, among others, 13 majestic coves situated along its coastline. 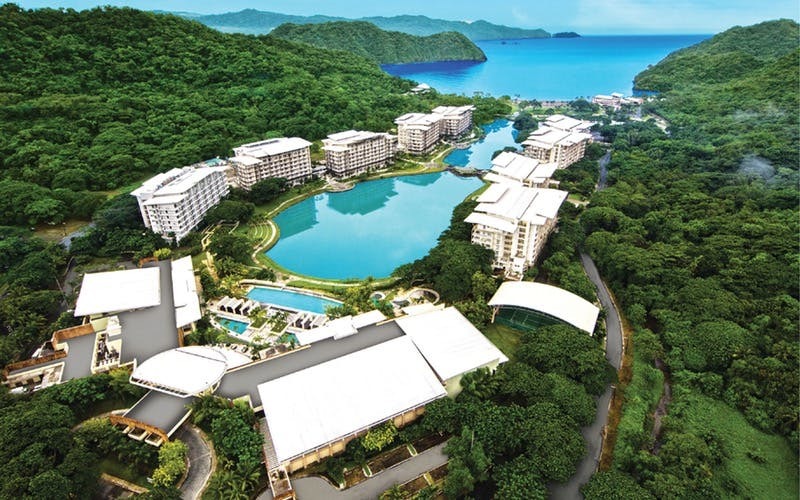 The first phase of Hamilo Coast’s development, Pico de Loro Cove, was formerly known to the locals as “Cutad.” It has been renamed, taking after the well-known Mt. Pico de Lorovisible in the distance. 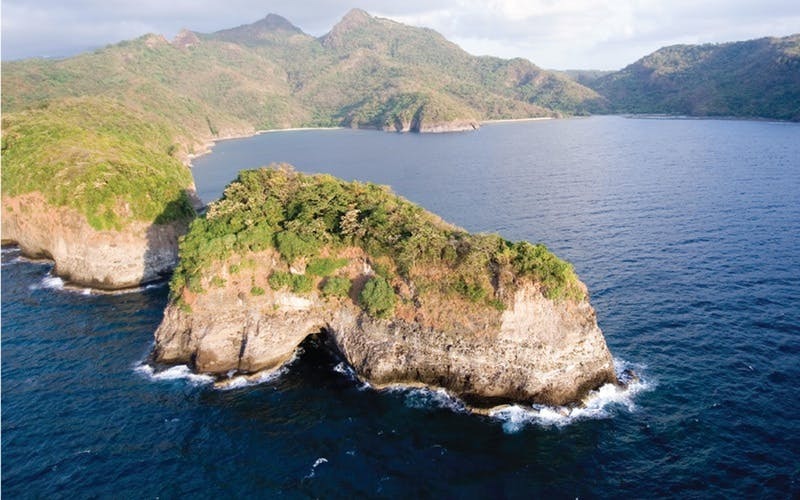 Today, the mountain’s striking shape of a “parrot’s beak” juts out from the cove’s shores, providing a picturesque backdrop to the whole area. Papaya Cove remains home to a local fishing community. 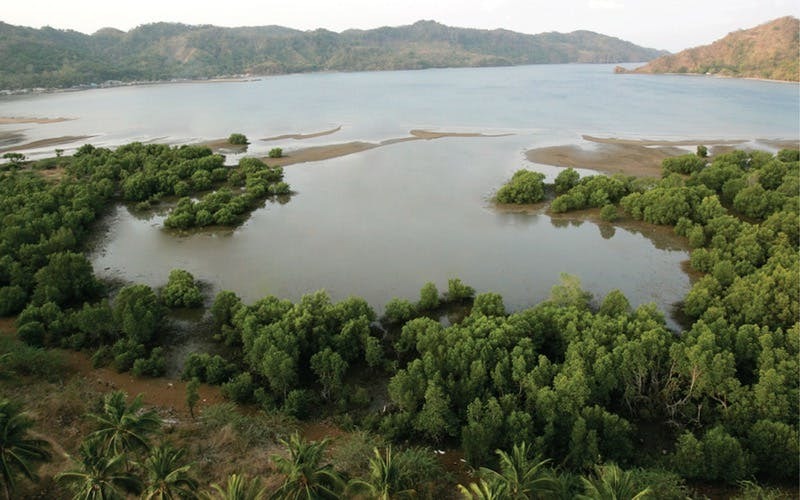 A protected deep cove with calm waters all-year round, it boasts of a mangrove area planted in partnership between the community and the developer. 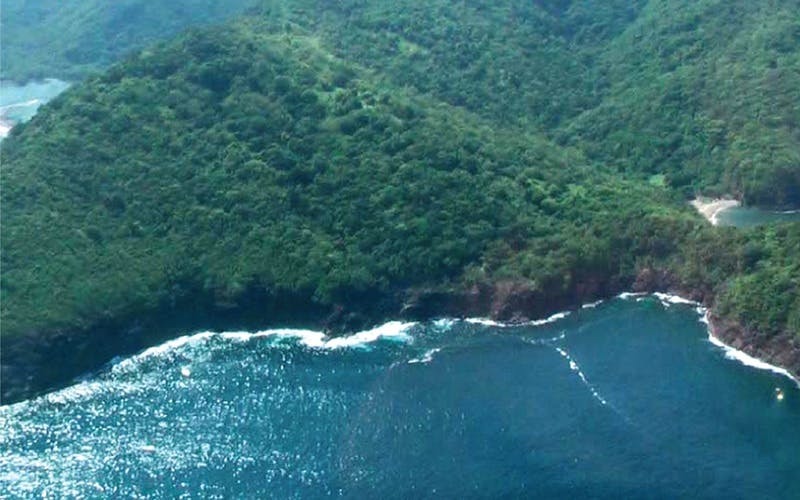 The cove got its name from its shape that resembles the fruit when viewed from the skies. Santelmo Cove, meanwhile, got its name from “St. Elmo’s Fire” or the ball of fire that locals attest is often seen within the area. An old-time resident, Aling Raymunda, swears on witnessing such a phenomenon when she was 17 years old — a ball of fire spewed from the mouth of a giant snake. Another resident, Nelly de la Cruz, also insists on the phenomenon of the ball of fire. “I saw it rolling around the beach and then it disappeared into the void,” she says. Santelmo is also revered for its pristine beauty. 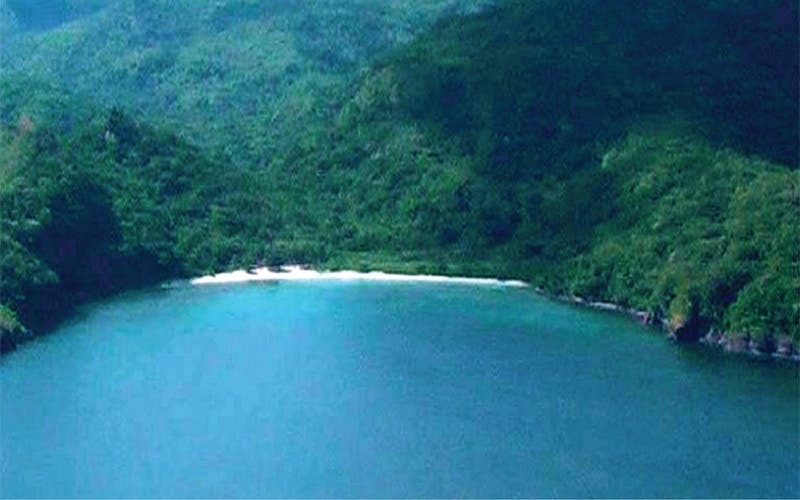 Located just five minutes from Pico de Loro Cove via speedboat, Santelmo has the best white sand beachfront. 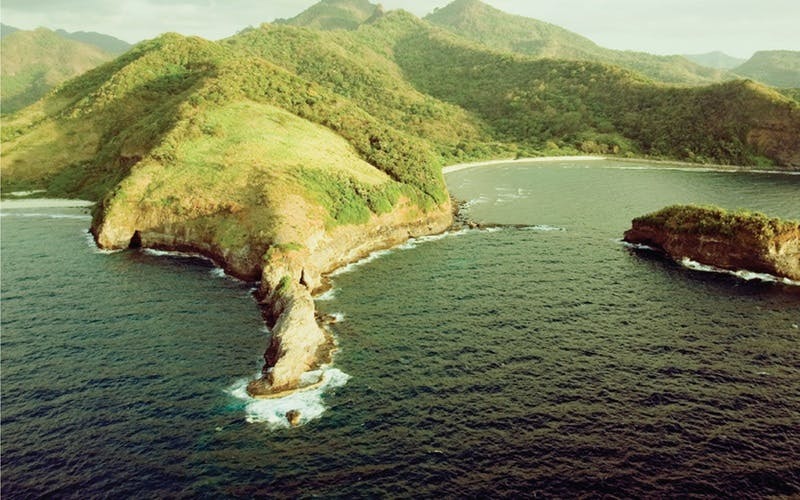 Olive Ridley and green sea turtles or pawikanvisit the place occasionally to lay their eggs on the shore. Giant clams or taklobos along with a diverse variety of sea creatures make Santelmo an ideal spot for snorkeling and diving. 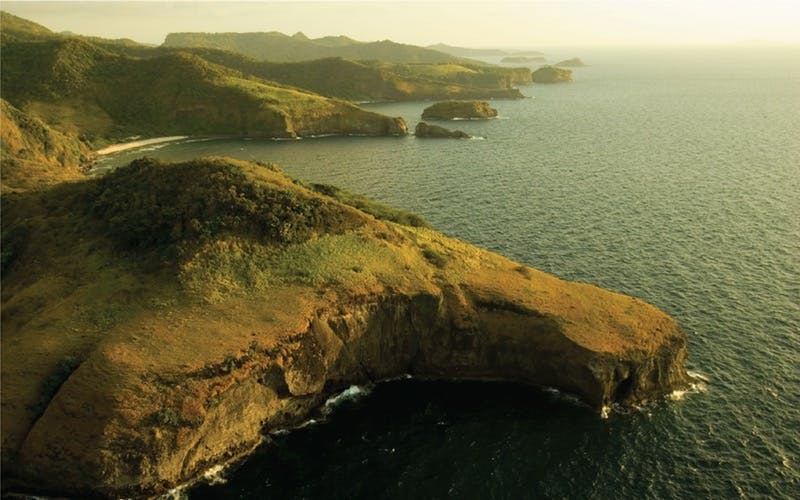 With its rich marine life, Santelmo is being declared by the local government as a marine protected area, along with Pico de Loro Cove. 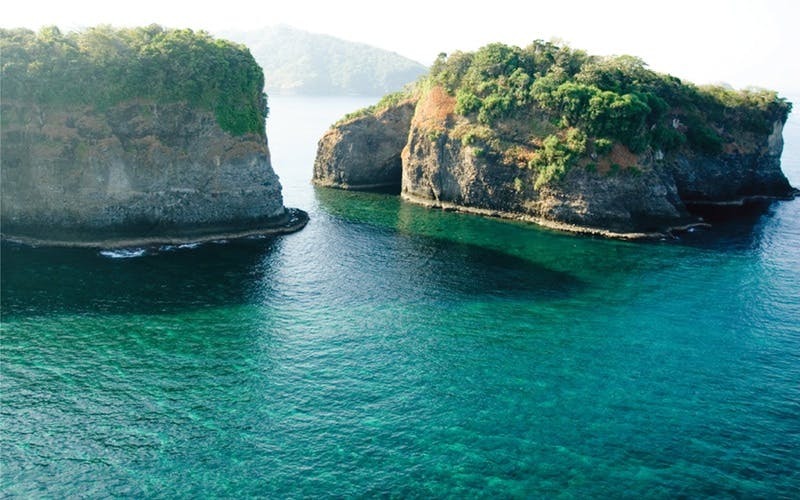 Patungan Cove was a favorite hideaway of a former president, who frequented the secluded place during his regime. A walk by his lonesome and in peace, he loved the place so much that he almost built another palace by the sea, residents say. Nearby Neela Cove was said to be the site of a sunken Japanese warship. “Neela” is a Sanskrit term that means “blue,” referring to the clear blue waters at the feet of the shoreline. 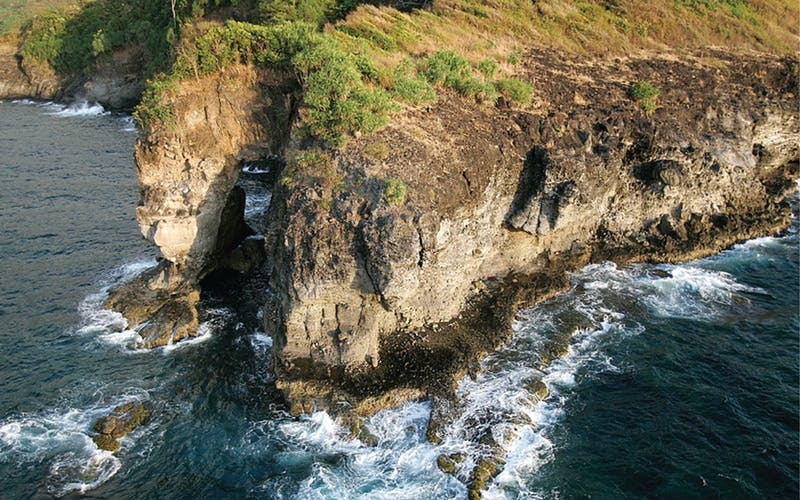 Similar to Neela Cove, Limbones Cove is also said to be the site of sunken Spanish galleons and warships. Bucanita means “small opening” or “bukana” in the vernacular. A small tunnel is the main highlight of this cove. One can kayak his or her way through the small opening to enjoy views from the other side of the tunnel. 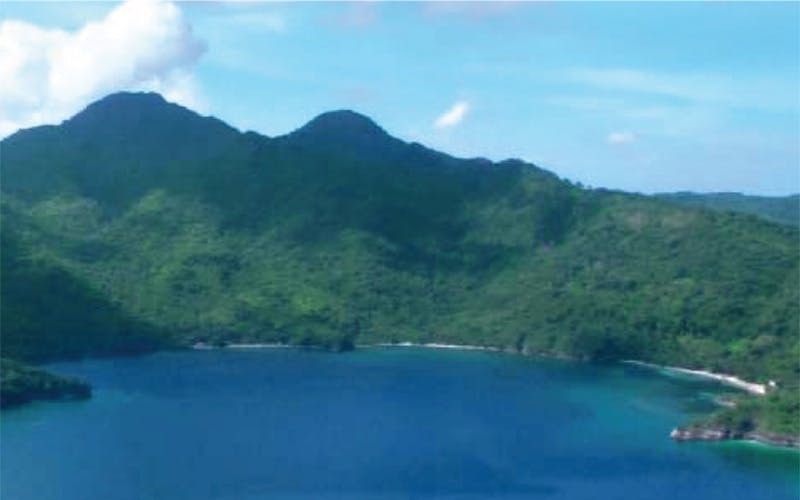 On the hills of the cove, the same president was said to have conducted searches for gold ore.
​Etayo was said to be a popular berthing place of ships and pirate vessels because of its thick foliage. It is also a marine protected area where a multitude of marine species serves as feast for the eyes of diving enthusiasts. Subli was named after a favorite local dance performed in the month of May during fiestas. 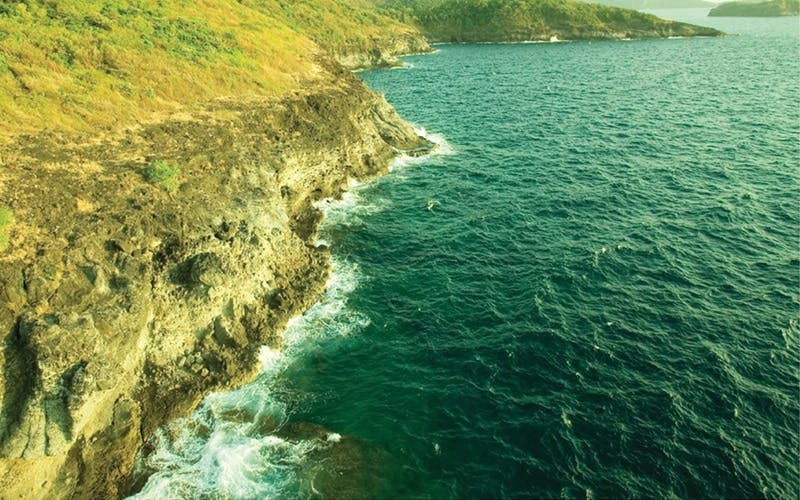 ​Balibago was named after the Sanskrit word for “small semi-circle” that characterizes the topography of the cove. Finally, Arkaya Cove derived its name from two Sanskrit words — “arka” and “vayu” which means “essence of the wind.” It is an emotive description for the ambiance of the place. 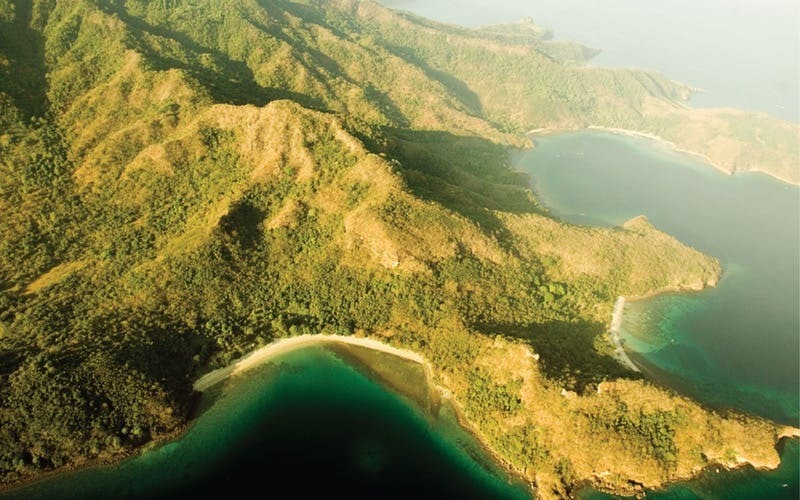 With the long-term vision of Hamilo Coast well on its way with the Pico de Loro Cove community, the beauty and splendor of its 13 jewels — the 13 coves — will shine with splendor only even more, as only Mother Nature can conjure. Having a leisure home of one’s own in this place is perhaps the closest to owning a piece of paradise.